1. Try an established or new restaurant. There are soooooo many to choose from. Gubanc’s for lunch (homemade soup), Riccardo’s for a summer evening on the patio, LaVang for unbeatable Pho, St Honore or Babica Hen for breakfast, Happy Hour at Five Spice, the list goes on and on. I recently tried Aji Tram, the fresh Asian fusion place on the corner of Bryant and Lakeview. It was fantastic! A bit loud with sports on big-screen TVs, but it was fun! Food was great and our little gathering really enjoyed ourselves. 2. Festival of the Arts in June. This is a a must do. Both the juried fine art show and the craft fair are a pleasure. I enjoy the art and like to hunt for a special find whether it is a gift for a friend or something special for myself. 3. A walking tour of Gallery Without Walls. The exhibition changes every year. It is always exciting when the new exhibits are unveiled. 4. A walk or bike ride around the lake. OK, do this more than once. Do it lots! Views of the lake and magnificent homes make the time fly and the workout is awesome! 5. Attend a 4th of July parade and then fireworks over the lake. 6. Attend the Lake Oswego Heritage Council Home Tour. This is a major fund raiser for the Heritage Council and also an opportunity to get into private homes that are AMAZING. 7. Volunteer to pull ivy at one of the City Parks or Nature areas. 8. Volunteer to help in one of the schools. 9. 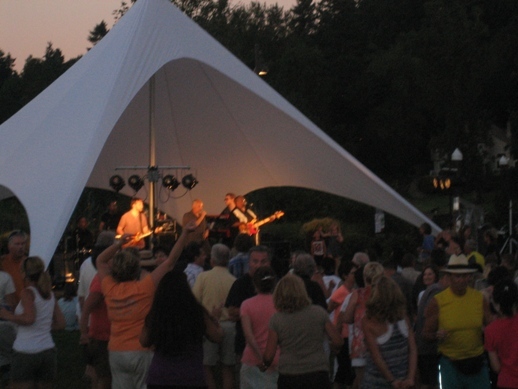 Attend one of the City’s outdoor summer concerts. 10. Attend the annual lighting of the City Christmas Tree on the day after Thanksgiving! There is so much more to do that just simply isn’t on this list. The point is that there is lots to do. I know I have had years where I do more or less than other years, but I also think that when I look back on years that I have really enjoyed, they have been years when I have gotten out and really involved in what is going on in Lake Oswego. We here at the blotter want to wish you a very happy 2015! May you experience good health, prosperity, and many happy LO memories!